A while back, I read an article about how a part of the reason for our opioid epidemic is our loneliness. 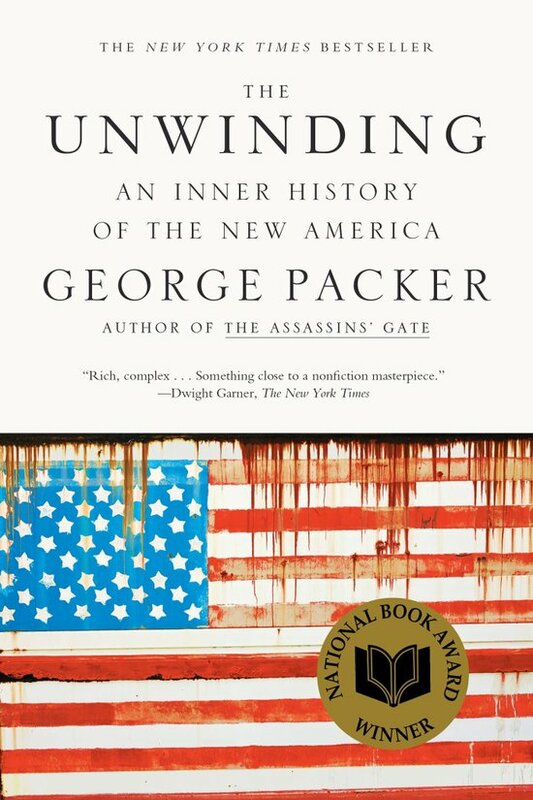 In many ways, Packer’s The Unwinding is the story of how that loneliness came to be; how we have gone from a thriving society in which as de Tocqueville wrote “Americans of all ages, all stations of life and all types of disposition are forever forming associations” to one in which people turn to opioids as their only companions. It is, in short, the story of an unwinding. It’s an unwinding that’s been going on for a long time. We have seen it every day in our drive to and from work, to and from school. We have seen it in our papers and on our TV screens. We have lived it. And we have become used to it. We stopped noticing. What George Packer does is force us to pay attention once again. He shows us the factories closing, the Wal-Marts and the parking lots taking over, the suburbs where no-one ever meets anyone else. The awful loneliness of living in poverty. He tells the story through the eyes of a biodiesel entrepreneur, a Joe Biden staffer and lobbyist, a factory worker turned community organizer. He tells us stories about the founders of the Tea Party and the founders of Occupy Wall Street. He talks about Peter Thiel and Elizabeth Warren and Newt Gingrich. But most of all he talks about America. About an America where people used to meet each other but don’t anymore, an America where people used to be able to count on schools and roads and hospitals and the government and a job. And how that America slowly disappeared, leaving us poor and alone. Leaving houses that need to be torn down and crumbling roads. Leaving crumbling people. In the midst of so much despair and unwinding, it is good (even if painful) to read about people like that.